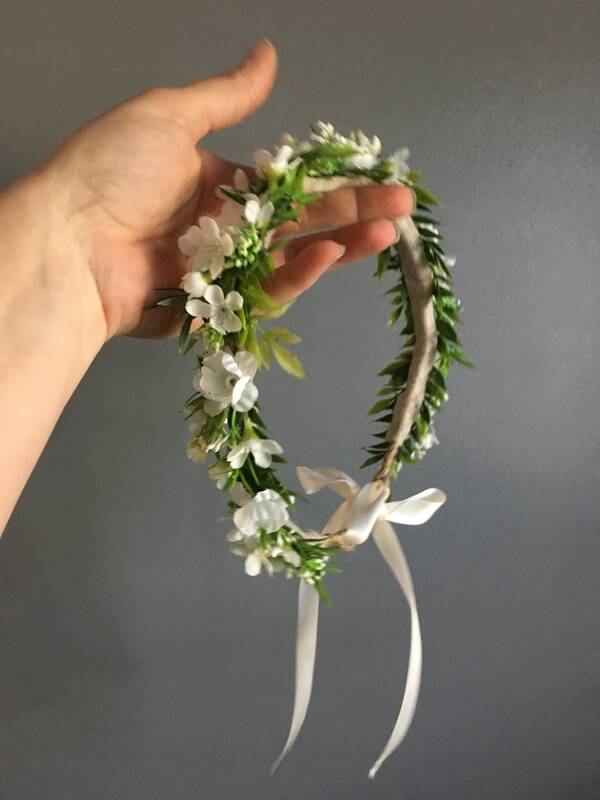 Tieback Halo Flower Crown with Whites and Ivory with greenery accent. 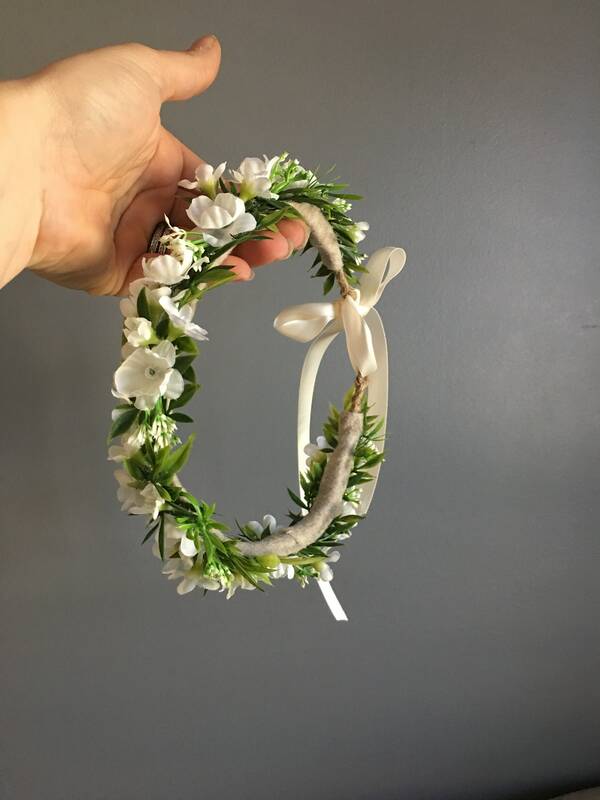 Flowers and greenery are mounted on Natural Jute rope covered wire. 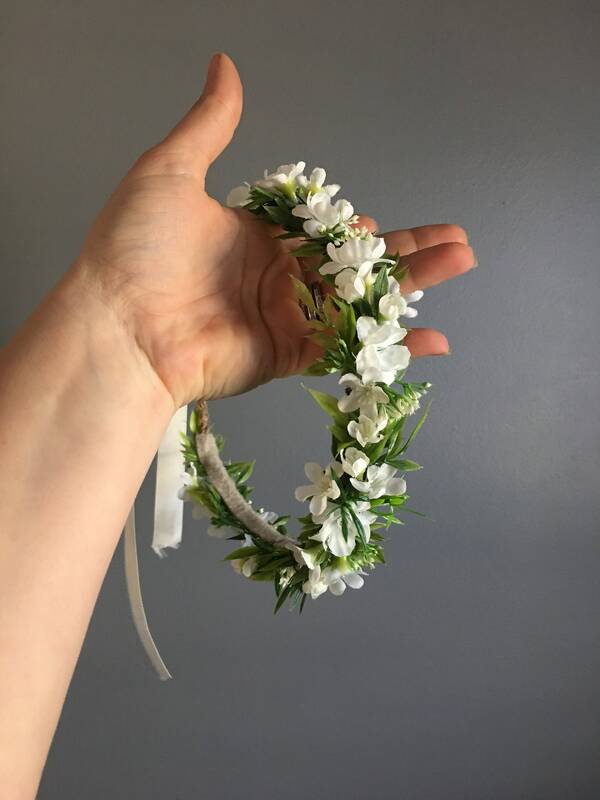 The flowers are backed with felt for extra comfort. Headband is adjustable .